Windy Nook Parent, Teachers and Friends Association (PTFA) are a group of people who help to organise fun activities for the school. This is to raise funds for school events or equipment that benefit your children. Anyone who has children at the school (parents/grandparents/carers) or who works at the school can be a member of the PTFA. Anyone who wishes to join is made welcome and it is never too late to get involved. We are always on the lookout for new members with new and fresh ideas or people to help at our events. Whatever you can put in – it will be appreciated. It’s not always about raising funds, the social events are equally important. 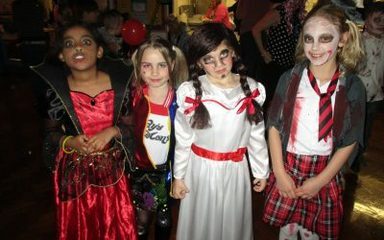 The Halloween and Friendship disco’s are very popular for all the children. We are currently planning lots of other activites, so please keep an eye on the schools webite. 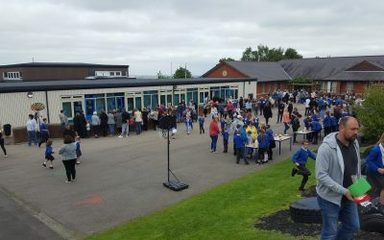 In the near future we will be running refreshment stalls at the science week and sports day. Please help support Windy Nook Primary School PTFA by shopping online. Every time you shop online, you’ll raise a free donation for Windy Nook Primary School PTFA every time, it’s that easy! We often need donations to support our raffles and tombolas, if you have any unwanted gifts please donate them to the PTFA. We hold committee meetings at school from 4pm every quarter to discuss key areas as well as Parent Planning meetings at the Fiddlers Pub from 6pm. The planning meetings are informal meetings to discuss activities and generate new ideas. The PTFA committee has many roles and parents can volunteer for these and are elected each year at the AGM. These are the roles and parents in post at the present time. Committee Members: Joanne Tomkins, Julie Graham, Jane Long, Claire Fitzpatrick, Sharon Grant, Gemma Stevens and Chris Watson. Miss Clough is the School staff committee member. Please complete the expression of interest form below and hand into the school office. 8/07/2019, details to be confirmed. The Chair directs the meetings, making sure everyone’s views are heard and everyone is involved in the meeting. They make sure all committee members are familiar with constitution and the supports the PTFA. The Vice Chair supports the chair with the above responsibilities. The Vice Chair will carry out the duties if the Chair is unavailable. The Secretary communicates with the school leads and maintains accurate records of meetings. The secretary works with the Chair. The Treasurer ensures accurate financial records are kept and best practice procedures are followed for counting money, banking and making payments. They should keep the committee updated with regular reports, and ensure end of year reports are completed for the association’s AGM. Committee members support with the decisions and ideas made at meetings. They also support at events and other skills to support the committee and to the school. This could be fundraising, marketing, practical skills and so on. On behalf of the PTFA we would like to ask any parents who would like to join the committee to put their name down at Reception. 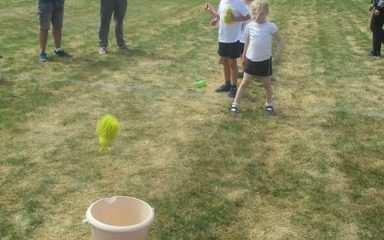 We would love more parents to be involved so our children can enjoy more activities organised by the school. We look forward to bringing some great events your way. I am a development executive for a local children’s charity, so have experience in event organisations and fundraising. I also perform as a vocalist at events so have experience and contacts in the music industry. Both of my jobs will allow me to help the PTFA succeed. I have over 20 years experience supporting children and young people throughout the North East as a qualified Youth Worker. This has provided me with a wealth of opportunities to working in mental health/emotional wellbeing, homelessness, health, education, delivering training and much more. I am currently a Quality Assurance officer with an Awarding Organisation, I’m responsible for overseeing a suite of vocational qualifications which are an alternative to a GCSE. I am also a mains grants assessor for BBC Children in Need, this is a very rewarding but difficult role as I speak to lots of organisations about how they want to help and support children and young people. My skills will be put to great use to support our school and much deserving children within it. I am an internal business Manager for a European hotwater cylinder manufacturer, I also run the admin office, my background is in accounts but made decision to change career path 2 years ago. I work in University research and am currently research administrator on a health intervention study in ageing. I have 2 children in Windy Nook school so have been involved with the school for over 6 years now and I have also spent time helping out in the classroom and assisting on class trips. 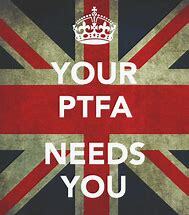 I am keen to put my skills and experience to use within the PTFA to benefit our school. I have been teaching for 23 years in Newcastle as a KS2 teacher. 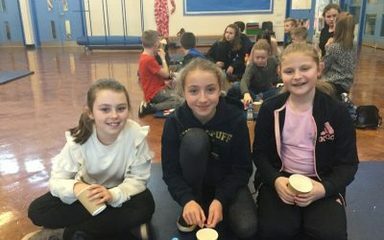 During my teaching career, I have developed my leadership skills and am very well organised, this due to the varying roles I have taken through my career such as Head of Y5 and Y6 and KS2 Leader of Teaching and Learning. 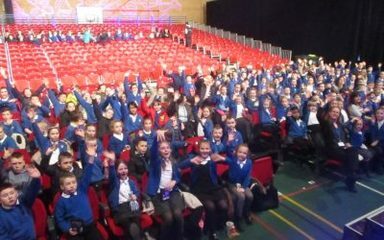 As a teacher, I have organised various school visits, including residential visits and parents’ evening meetings. Over the past two years, I have been a Parent Governor and I am currently in the role of Vice Chair of Governors. Whilst being a Governor, I introduce the idea of having a PTFA on the request of some of our current committee members. Co Owner and Operations Director of Therapy Direct Healthcare Ltd. Therapy Direct is a flexible and innovative Physiotherapy Company who operate with a core team of therapists to provide nationwide cover to clients of all sizes. I am responsible for the day to day management of the company. Part of my role is to account manage numerous contracts, develop new business ideas, contract negotiation, recruitment and human resources. 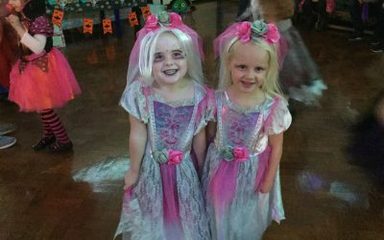 Happy times at the Halloween disco! 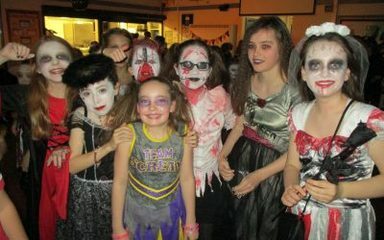 Everyone had a fantastic time at our Halloween disco. 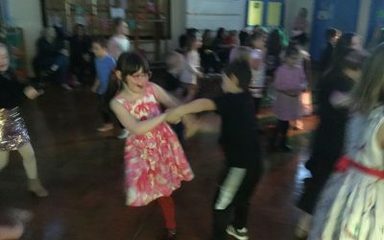 We had fun dancing, eating and playing party games wearing spooky costumes. Spooky Goings on at the Nook! 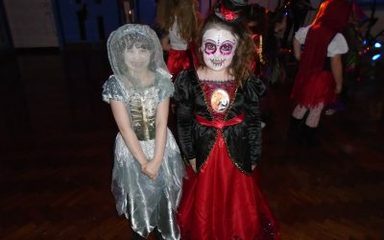 Vampires, witches, cats and other spooky characters took over Windy Nook Primary school hall for party games and dancing tonight. The question is... what did they do with the children? !